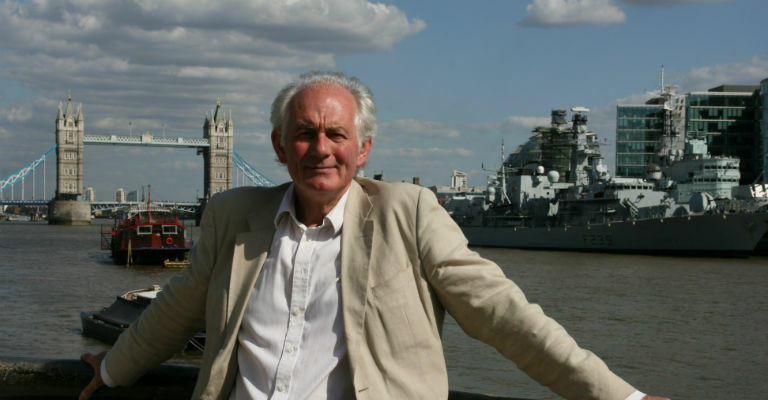 Don’t miss the chance to let renowned TV historian and raconteur Dan Cruickshank draw you into his own fascinating and much-travelled world. From the ancient Egyptian pyramids to the soaring skyscrapers of Manhattan, his architectural knowledge, infectious enthusiasm and boundless curiosity have taken him to some of the planet’s most inspirational and characterful locations and buildings. For us he’ll be focussing on his acclaimed History of Architecture in 100 Buildings, as well as his giving his own take on Berwick’s architectural gems, (“the Elizabethan town walls, the Town House, the early 18th century Office of Works at the Barracks, the nearby suspension bridge”). Best known for his popular BBC history series The House Detectives, One Foot in the Past, Britain’s Best Buildings, What the Industrial Revolution Did For Us, and Around the World in 80 Treasures, his books include Life in the Georgian City and The Story of Britain’s Best Buildings. He’s also been involved in the repair and restoration of many historical buildings including Spencer House in St James’s, Heveningham Hall in Suffolk, and numerous early 18th-century houses in Spitalfields and elsewhere in London. He‘s an Honorary Fellow of RIBA and a leading international expert on architecture and historic buildings, with a particular passion for all things Georgian.